Established in 1974, Gordon and Rees LLP is a prominent law office in the U.S. It was set up with the mission of serving clients with unparalleled commitment and dedication. It also aims to develop its employees so that it can provide most effective solutions to clients in the best possible manner. Because of its dedication towards its team, those who join this firm love to stay with it for years and remain loyal to it completely. The office takes pride in its high level of consistency, reliability and resourcefulness. It is known as one of the most responsive law firms in the region. This is why clients who reach out to it can get result in an effective and efficient manner. Gordon and Rees LLP believes in offering high quality legal services in a cost effective way. This is why people from all walks of life can afford this office without worrying about the fee that legal matters involve. Despite of its exceptional services, the office is much more affordable compared to several other law firms. In a short span of time, the dedication and commitment to excellence has made this firm turn into a national litigation and business transactions firm from a small insurance defense firm. With a team of about 500 experienced and expert attorneys, Gordon and Rees LLP has as many as 26 offices across the country. The firm focuses on building lasting relationships with its clients by providing them with unsurpassed legal advice. Its creative problem solving, unwavering responsiveness, and business-oriented legal strategies all make it one of the most trusted law firms in the region. Gordon and Rees LLP has several awards and recognitions in its share. It is considered as one of the fifth fastest growing firm among the Top 10 Growth Leaders. The firm is also known as the Second Hundred in the AmLaw 200 rankings.  Q:I would like to know about the fastest growing law firms in Gordon Rees? A:Gordon Rees is undoubtedly one of the fastest expanding law firms in the country. Established in 1974 by two young lawyers- Stuart Gordon and Donald Rees-in the past 37 years Gordon Rees has gone from a small insurance defense firm to a major national litigation and business transactions firm with more than 500 lawyers spread across 26 offices within the country. This growth is purely driven by the firm's reputation for success and an unflinching commitment to excellence.